SKU: Triumph T171. Category: Triumph. The Triumph seat was designed specifically for the Triumph Spitfire, TR4, TR250 and TR6 Sportcars. This is the perfect replacement for these cars and other British and European sports cars. 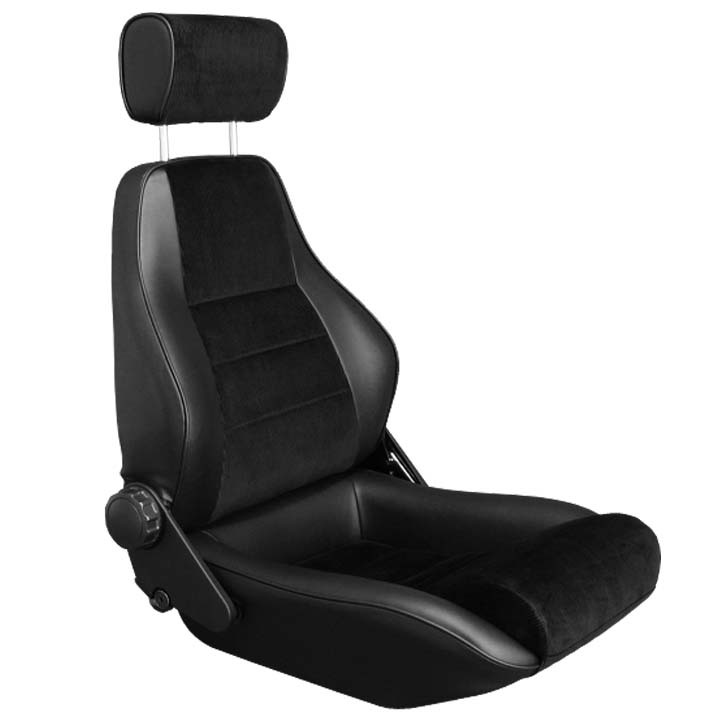 This Triumph seat is reclinable and fully adjustable. Light weight and coated tubular frame with great support. It is ideal for classic rallies and touring. Upholstered in black heavy duty soft grain leatherette. Triumph Spitfire, TR4, TR250, TR5, TR6 and other British and European sports cars.